After days of grazing in driving wind and swirling snow, the shaggy ponies seemed very happy to see the return of sunshine to their pasture. 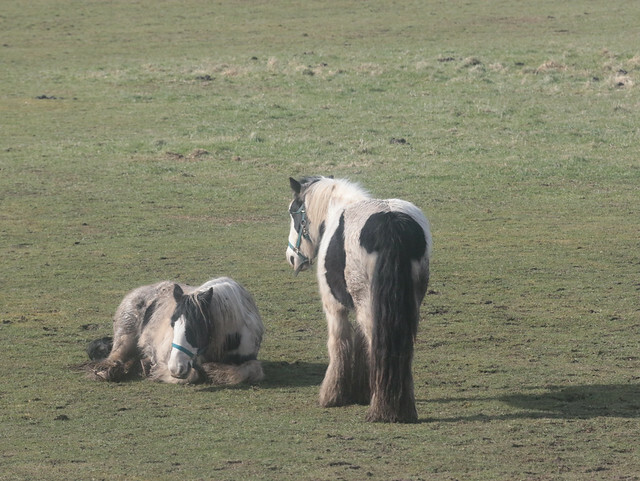 They spent a lot of time this morning lying on the grass, sunbathing. 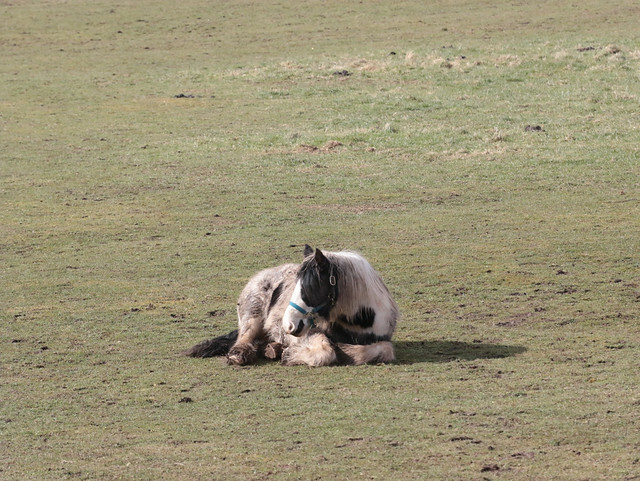 One of the black-and-white shaggy ponies sat down with its legs neatly tucked in and face turned toward the sun. Another black-and-white pony came over for a visit. Neither of them said much, but I assume it was a convivial affair. 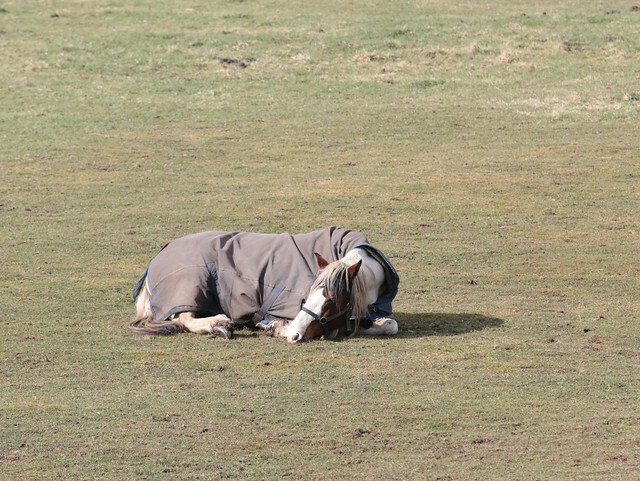 The ponies' horse friend also had a nice little lie-down in the sunshine in her blanket. This entry was originally posted at https://nanila.dreamwidth.org/1134737.html. The titration count is at .0 pKa. They're sweet, aren't they? I enjoy watching them from the window. PONIES. And I expect you'll be posting baby sheepie photos soon, too! Yes, not long now. I haven't seen any lambs yet. I have heard some very grumpy mooing from the cattle farm barns though so am expecting to see calves soon. This is a perfectly valid response to the ponies. I find it soothing to watch them. They're great. Very hardy as well, apparently, as they seemed mostly unfussed by the horrible weather.